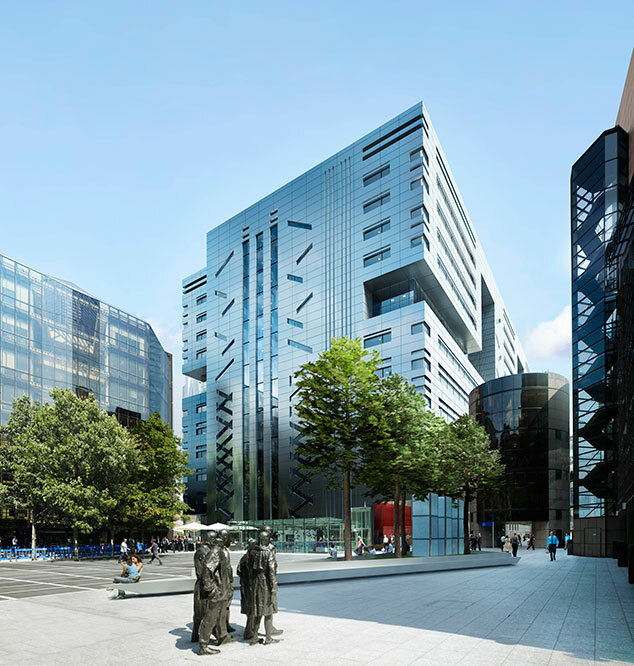 To provide a validated chain of custody for timber materials from source to site, Mace worked with the client, architect and design team at 5 Broadgate to achieve Project FSC Certification. This was undertaken voluntarily, beyond original sustainability requirements specified for the project. Project FSC certification represents best practice in responsible sourcing of timber, as at the end of 2015, <100 projects globally have completed full certification. Achieving Project FSC Certification required a close attention to detail throughout the design and delivery process. This included ensuring specifications correctly detailed the requirement for a complete chain of custody for all timber materials. Diligence in checking materials on site was also required to confirm compliance which was verified through a number of 3rd party audits. Delivery documentation was confirmed by using the FSC certificate database to ensure a valid chain of custody and recorded in a project database providing a complete audit trail. In addition, extensive training was provided to designers and suppliers to ensure awareness and familiarity with the requirements. To find out more about this click the link below.